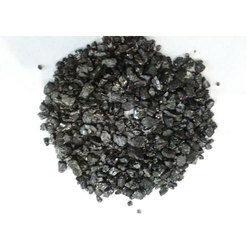 Prominent & Leading Wholesale Trader from Ludhiana, we offer graphite electrode granules. Graphite Electrode Granules is particularly useful as a Carboriser in the SG Iron / Ductile Casting manufacturing process - since it provides extremely low Sulphur content. follows quality control and production procedures to assure no contamination to customer’s raw material or finished products. We utilize arc dryers that operate efficiently and continuously, producing moisture content as low as 0.001% in our granules and powers.